Get the Much-Hyped, Best-Selling Video Game "Call of Duty: Modern Warfare 2" Because it's just that AWESOME! If you’re a douche-bag, please stop reading this awesome post. In fact, hit Alt-F4 on your keyboard right now. If you’re not a douche, continue on to read about the greatest video game out on shelves today …Call of Duty: Modern Warfare 2 is the highly touted, record-breaking, video game from Activision that we at OTD are currently playing nonstop. It sold 4.7 million copies on it’s first day of release!! It’s deemed as one of the best shooter games of the year and has scored a 4.0 star rating from GamePro and a whopping 9.5 out of 10.0 from GameSpot. But best of all, it has a rating of ‘M’ for Mature; which is what we like to see in these types of video games. You can see the action packed trailer in full HD here. If you love video games or know someone who does (son / boyfriend / gay lover), we suggest you go out and purchase Call of Duty: Modern Warfare 2 today. Call of Duty: Modern Warfare 2 is currently available for the Xbox 360, the Playstation 3, and the PC. Modern Warfare 2 is a first-person tactical shooter and the sixth entry in the popular Call of Duty series. 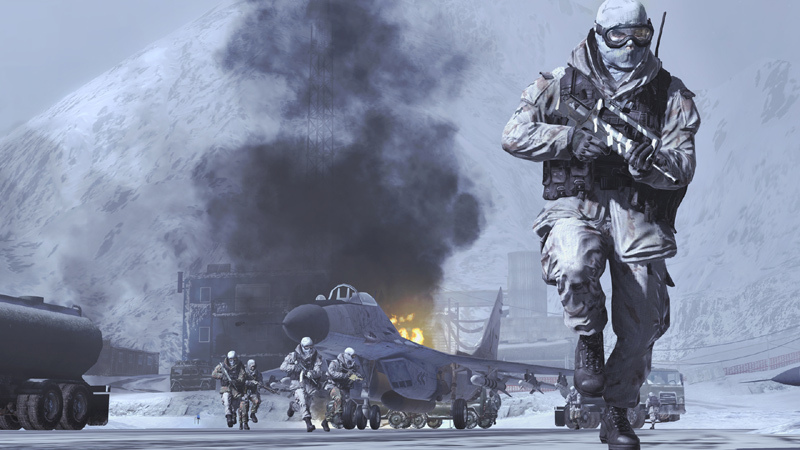 True to its name and following the lead of its predecessor, Call of Duty: Modern Warfare, it places players in modern combat settings, as opposed to the WWII environments of the earlier Call of Duty games. This modern approach brings with it new weapons, action and options. Coupled with a variety of gameplay modes including single player, multiplayer and the co-op Special Ops Mode, it is destined to be one of the most popular games of 2009 and a worthy addition to the Call of Duty series. Classic tactical FPS action.View larger. Customizable multiplayer perk system.View larger. New weapons and gadgets.View larger. The storyline of Modern Warfare 2 picks up where the events of Call of Duty 4: Modern Warfare left off. The ultranationalist Russian leader Zakhaev has been eliminated, but it seems that his lieutenant, Vladimir Makarov, is an even bigger danger. Having made a successful play for power, Intel indicates that he is extending the reach of his influence well beyond the borders of Mother Russia, causing a stir in the international community and prompting the involvement of Task Force 141. Task Force 141 is an elite multinational unit made up of Navy Seals, Delta Force operatives, British SAS and CIA. In the single player campaign you are Sergeant Gary “Roach” Sanderson, with the hero of Call of Duty 4, “Soap” MacTavish, promoted to Captain, making an appearance as an NPC (non-player character) and your commanding officer. The elimination of Makarov and his underlings at any cost is your number one priority, regardless where the fight occurs. The latest release in arguably the most successful tactical first-person shooter franchise of all-time, gameplay in Modern Warfare 2 follows the same winning and time-tested structure of earlier games in the series. In the single player campaign players are aided by AI squad members as they take on a series of missions aimed at eliminating Ultranationalist forces. Each mission is built around a particular objective, with players utilizing some level of guidance from NPC characters, including “Soap” MacTavish, and aided in navigation by the game’s heads up display (HUD). Along the way players will be able to utilize a wide variety of weaponry and and vehicles, as well as be able to customize weapons with gadgets attached to them.Also, just as in previous games in the series, Modern Warfare 2 is heavily focused on multiplayer gameplay. The different multiplayer modes, available both in local play and online, contain plenty of customization options and revolve around different strategies ranging from the every man for himself action of “Free-for All,” the classic team-based fun of “Capture the Flag and the tactical, team-oriented action of “Search and Destroy,” just to name a few. Multiplayer modes also feature the “Perk” System that players may be familiar with from earlier in the franchise. Through this system players gain additional abilities, weapons and benefits as they gain experience in combat. This can be done by leveling up, but another important way way is through “kill streaks,” the number of enemies eliminated in succession. These are available beginning with three kills and include the ability to call for supply drops, predator missile strikes, helicopter gunships and many more. Players have the ability to customize in advance which perks will be available at each number and can even gauge their progress towards each at the touch of a button. With an eye towards not making the game too hard for new players the game also features help to players experiencing “death streaks,” multiple consecutive deaths in multiplayer matches. 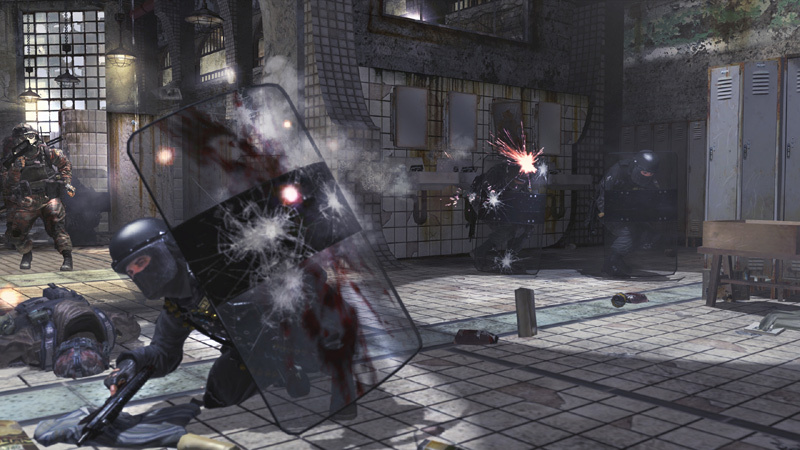 Along with a single player mode and multiple multiplayer modes, Modern Warfare 2 also features an unique third main play option, Special Ops Mode. Available both online and in local play, Special Ops Mode is designed to provide a distinct time-based play option, featuring special scenarios not found in other modes in the game and lots of enemies to take on. This mode can be played either alone or with a friend, again either locally or online, with local co-op play including split-screen functionality. Improved AI Enemies â€“ Improved artificial intelligence now allows enemies to attack from virtually any direction as players respawn into the game adding additional challenges. An All-new Call of Duty Adventure - Modern Warfare 2 features an all new Call of Duty storyline revolving around the continuing struggles against the Russian rebel group the Ultranationalists, who have found a new and more dangerous leader. 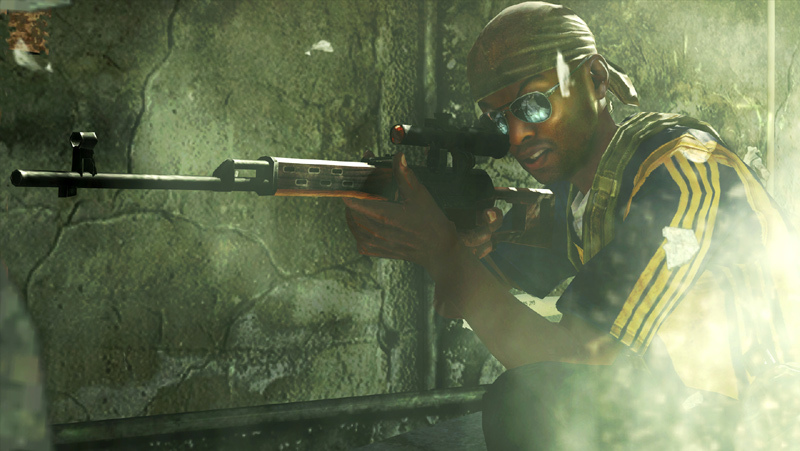 The ‘Special Ops’ Optional Co-op Mode â€“ “Special Ops” Mode allows two players, either alone or with a friend, to engage in unique mission play and features split-screen functionality. 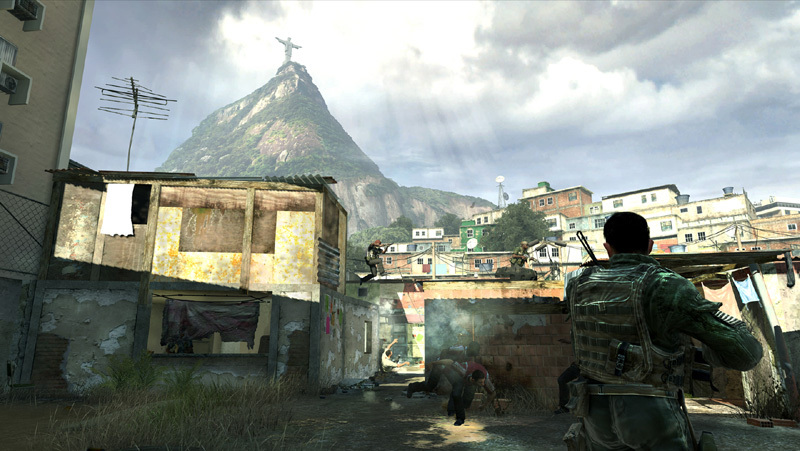 Diverse In-game Environments - Battlegrounds traversed in the game range from the lonely, snow-clad mountains of Kazakhstan, to dark tunnels in the Afghanistan and the crowded slums of Rio. Nonstop Action - Modern Warfare 2 contains no cutscenes, so players are always engaged in the action, no matter where they are in the game. New Breach Gameplay Mechanic - Players can now blaze their own paths through the game by “Breaching” formerly impregnable obstacles like walls and doors with explosives. New Gadgets, Weapons and Weapons System Modern Warfare 2 contains many new and updated weapons, new weapons attachments, as well as a variant of the multiplayer weapons customization system from Call of Duty 4, now available in the single player campaign. New Perks and Increased Customization - Multiplayer modes feature new perks for leveling up, and for killstreaks and deathstreaks. Those awarded for streaks can customized in advance according to when they become available. Activision stock went way up after the first Modern Warfare: http://www.offeroftheday.com/post/call-of-duty-4/.